Utah Valley has four distinct seasons. usually from November to April. The air has a very low humidity. Utah uses Mountain Standard Time. Utah is the 2nd most populated county in Utah. With 560,974 people, Utah County has nearly 250,000 more people than the next largest county, Davis County. The major racial and ethnic groups in Utah County are White at 83%, Hispanic at 11%, and two or more ethnicities at 2%. According to the U.S. Census Bureau, Utah County has a median household income of approximately $60,196. The Homeownership rate is 67.9%. The percentage of persons below the povery level is approximately 14%. The median age of Utah County residents is 24 years old. The population is 35.4% male and 64.6% female. 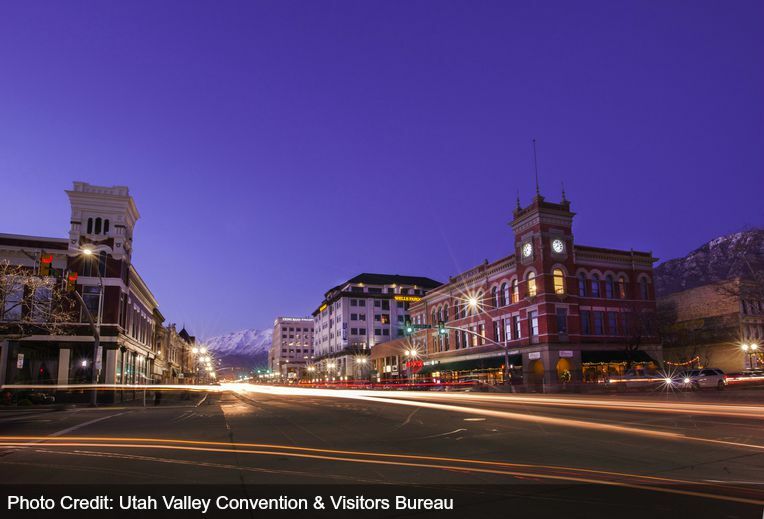 Utah has a relatively young and educated workforce, which is continuing to grow in size. Utah maintains an AAA bond rating, being one of four states to maintain their AAA credit rating for 46 years or more. Top employers in Utah include the following: Intermountain Health Care, the State of Utah, University of Utah, Brigham Young University, Utah Valley University, Wal Mart Stores, Hill Air Force Base, and Smith's Food and Drug Stores. Major industries in Utah include the following: Agriculture, manufacturing, business development, mining, tourism, and construction.